Description: The Illinois Department of Transportation announced that a project to remove and replace the 119th Street bridge over Mill Creek in Palos Park is scheduled to begin, weather permitting, on Sunday, April 1. Description: Questions and Answers for Department of Revenue practitioners. Description: Illinois Department of Revenue 2005 Schedule 1200-D Instructions is income tax credits (for corporations and fiduciaries). Description: The Illinois Department of Transportation IDOT is committed to providing a safe travel environment for Illinois residents and other motorists traveling the states highways and local roads. The Illinois Crash Facts and Statistics includes data that illustrate these accomplishments and also provides information about key events in the history of traffic safety-related legislation. Also included, are summaries of motorcycle helmet usage and general information about programs and services offered by the Division of Traffic Safety. 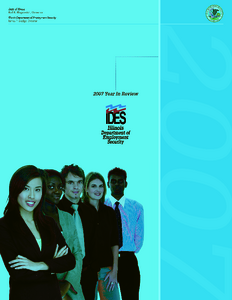 Description: This annual report covers the Department's activities during 2007 with ambitious goals, which included strengthening relationships with Illinois businesses and implementing strategies to broaden job opportunities. The year concluded with the accomplishment of those goals. 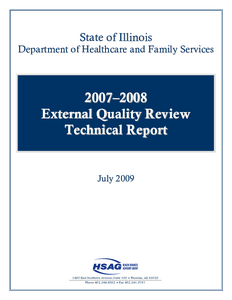 Description: The 20072008 Illinois External Quality Review (EQR) Technical Report describes the manner in which data from EQR activities conducted in accordance with the Code of Federal Regulations (CFR), at 42 CFR 438.358, were aggregated and analyzed, and how conclusions were drawn as to the quality and timeliness of, and access to, care furnished to participants of the Illinois Medical Assistance Program. 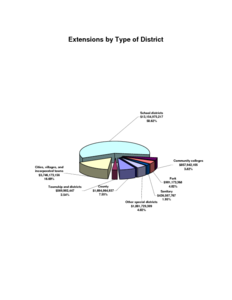 These beneficiaries were enrolled in one of Illinois two contracted managed care organizations (referred to as HFS managed care organizations or MCOs): Family Health Network, Inc. (FHN), and Harmony Health Plan of Illinois, Inc. (Harmony). 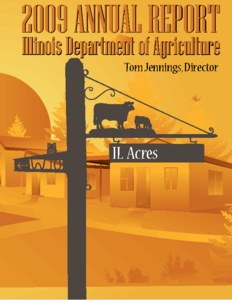 Description: The Illinois Department of Transportation is committed to providing a safe travel environment for Illinois residents and other motorists traveling the states highways and local roads. This annual report includes data illustrating these accomplishments and also providing information about key events in the history of traffic safety-related legislation. Description: This Strategic Plan is the core and primary plan of the Department. All other plans Chafee/ETV Plan, PSSF Strategic Plan, and the CAPTA Plan are an integral part of this plan and are intended to support it. 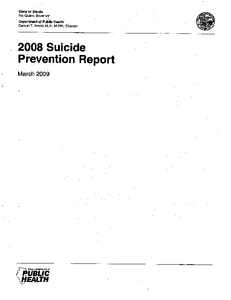 2008 is the first year the Prevention Plan is also the Annual Progress and Services Report. 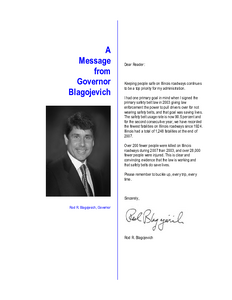 Description: Report to General Assembly dated March 2009. 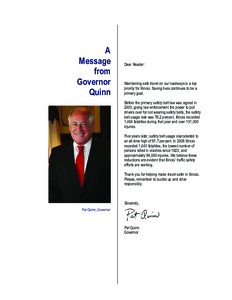 Highlights include release of the Illinois Suicide Prevention Strategic Plan; submission of the 2005-2007 Suicide Prevention Report for approval from the Illinois Department of Public Health; and submission of the "State Agency Review and Initial Recommendations Report: Recommendations of Policy and Program Changes to support Suicide Prevention" for Department approval. 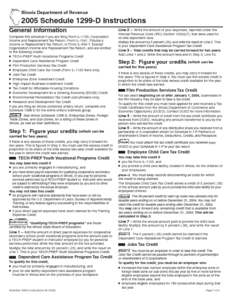 Description: 2009 annual report concerning the bilingual frontline staff at the Illinois Department of Labor. Description: 2009 annual report concerning available options for employees with child care needs. 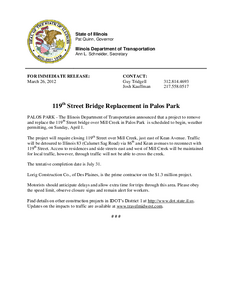 Description: Flyer describing the Illinois Department of Transportation Bureau of Small Business Enterprises administration of the federal Disadvantaged Business Enterprise (DBE) program. The goal of IDOTs Supportive Services program is to provide assistance fostering opportunities for DBE firms to participate in IDOTs transportation-related contracts. 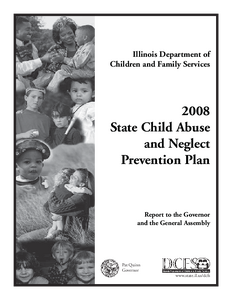 Description: The Illinois Department of Children and Family Services (DCFS; Department) is the single state agency for planning and coordinating child abuse and neglect prevention programs and services. As such, the Department is charged to administer child abuse prevention shelters and service programs for abused and neglected children, or provide for their administration by not-for-profit corporations, community-based organizations or units of local government.